Why Clover® is our FAVorite product this year! Clover is THE all-in-one business management tool offering far more than your standard POS. Not only does it take multiple payments including credit and debit, chip and mobile solutions, you can manage staff & inventory, view reports, analytics, and build a loyalty program from your customer database. Oh, and di we mention that Clover staff are industry experts? Not only is Clover extremely easy to set up, but it offers a minimal learning curve so that your staff is ready to go in no time. Worried that it can’t handle your business? The app marketplace will expand the already filled functionality and is Cloud Based so your back office accessible from anywhere that you are! And one of our client’s FAVorite features is that the Clover POS has a large, easy to read touch screen and makes the visual interface simple to use. It was also built with amazing report data and insights. Transaction data can be broken down to show sales trends, know who, what, and when they are buying, and more. 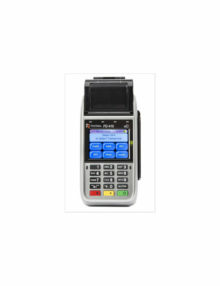 So, if you are ready to upgrade to the BEST POS system around, give us a shout and we will show you the way!